Good morning, early birds. 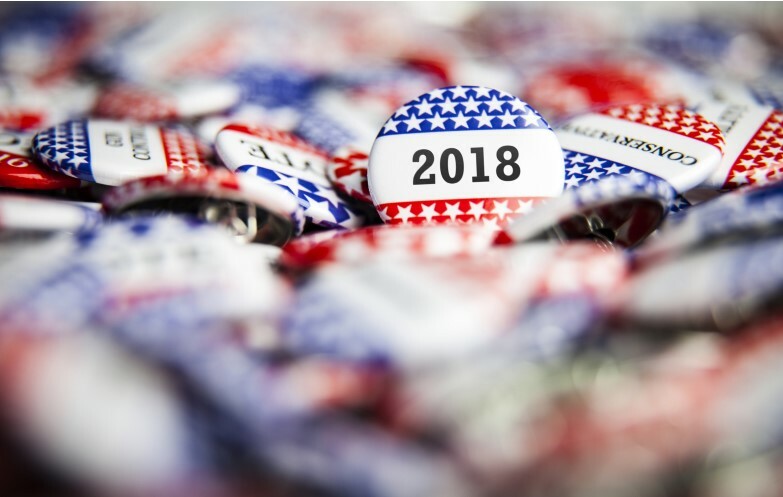 US voters are preparing to head to the polls for the crucial midterm elections, the Australian government is considering splitting next year's federal election, and a runaway ore train is derailed in WA. It's the news you need to know, with Chris Woods. US voters will today decide all 435 seats in the US House of Representatives and 33 of the 100 seats in the Senate at the mid-term elections. The Australian ($) reports that polling puts the Democrats ahead in the house with the Republicans set to regain the Senate, although any predictions would be imprecise even if this wasn’t a non-compulsory, Tuesday election. A Democrat win could bring new investigations of Donald Trump, even an impeachment vote, or, according to Kevin Rudd at the AFR ($), see Trump ramp up a more “extreme” China trade war and nationalistic foreign policy. The news follows final day rallies with Donald Trump and Barack Obama, with key topics remaining gun control, healthcare and Trump’s decision to send 5,000 armed troops to meet a “caravan” of people seeking asylum at the Mexican border. The first polling stations open on the east coast at 11pm AEST. In a nice bit of synchronicity, Liberal MPs are reportedly considering a plan to split next year’s Senate and House of Representatives elections as a way of stalling for time and regaining lost support. The Sydney Morning Herald reports that, while elections for each house have been synchronised since the early 1970s and a May 2019 joint-election still appears the most likely scenario, a number of MPs are open to the idea of holding elections for the half-Senate election by May 19 and delaying the House poll for a few months, with the final date November 2. The news comes as Foreign Affairs Minister Marise Payne talks up thawing China-Australia relations ahead of a Beijing forum; Liberal MP Chris Crewther faces potential Section 44 referral from Bob Katter and newly-declared Wentworth winner Kerryn Phelps, who is also seeking advice on Peter Dutton; and Prime Minister Scott Morrison drives around Queensland in a big bus (which, according to Fairfax, he also mostly flies ahead of). A runaway iron ore train has been forcibly derailed after travelling 92km in Western Australia without a driver. The Australian ($) reports that BHP has confirmed no one was injured as part of the derailment, which came about after the driver left to check a wagon issue on the Newman to Port Hedland rail line. The company has begun an investigation into the incident, and has now suspended all WA iron ore operations. This is me doing what I do. I’m out, I’m listening, I’m hearing and I’m doing. That’s what I’m doing as a Prime Minister. Scott Morrison gives an all-time answer when asked if the Queensland tour amounts to an election campaign. Melbourne Cup Day. Hundreds of separate events, including more “Nup to the Cup” protests, will be held throughout the country. NSW Opposition leader Luke Foley will outline Labor’s vision for the state ahead of the March 2019 state election in a speech at the Centre for Independent Studies. 2018 Australian of the Year and quantum physicist Michelle Simmons will launch anthology series The Best Australian Science Writing 2018 and announce the the 2018 Bragg UNSW Press Prize for Science Writing. South Australian Premier Steven Marshall and Minister for Primary Industries and Regional Development Tim Whetstone will open the Drought Breakers concert. The State Library of Queensland will host The Long Tail of War Symposium, an exploration of the end of WWI held as part of the Q ANZAC 100: Memories for a New Generation program. The annual Darwin Frog Races will be held to coincide with Melbourne Cup Day. Parts of Queensland are on heatwave alert as temperatures in the state’s south hit exceed 43 degrees. The RBA will announce a rate decision. The congressional mid-term election for all 435 seats in the US House of Representatives and 33 of the 100 seats in the Senate will be held Tuesday (local time). If the Democrats go into the 2020 elections complaining about the conduct of the 2016 elections, they don't stand a chance against Trump's populist appeal. Blue wave or big victory? How the media covered the midterms. The results have been used as evidence of America's "cold civil war", with either side able to interpret them as they wish. To an extent, that division has been imported to Australia. Though the Democrats seized the House, the results suggest Donald Trump's populist movement retains much of its potency. It's good news overall for the Democrats, but the thorny issue of intra-party conflict remains a pressing concern. Given how well the double dissolution turned out last time you can almost see their point.